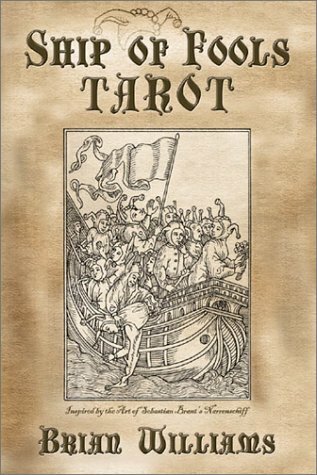 Here is a classic, traditional Tarot that's undeniably unique in its execution, created by one of America's most prominent and prolific tarot artists. It is the Fool's Journey spelled out in images that are fun and funny, strange and elegant. Every card is closely inspired by the much-loved classic of German culture, Das Narrenschiff (The Ship of Fools), by Sebastian Brant. The Fool card has emerged in recent decades as a pivotal figure of the Tarot. He is the human personality in its most innocent, most courageous state: the inner child. His journey is the path of lessons, obstacles, and pleasures he encounters on life's adventure as represented in the Tarot.